World peace? The official transition from independence to interdependence, in the words of one prominent political sociologist Benjamin Barber? Nah. 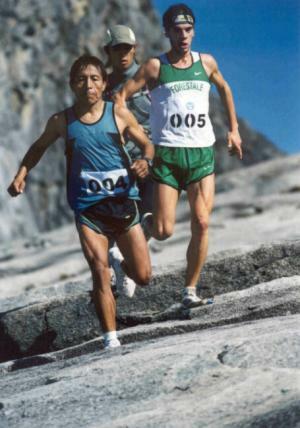 It’s about the prominence of a mountain and a mountain race. 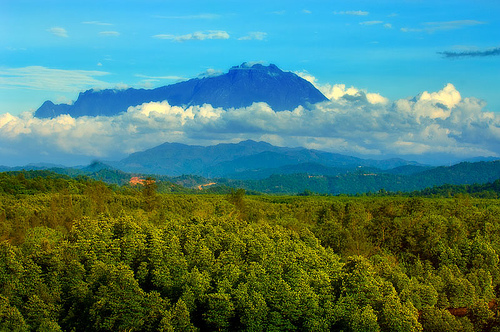 Runners will have to endure a 21km climb up the 4,095 metered Mount Kinabalu, which includes the 2300 meters of vertical in the first 8km. According to event media, the race was originally used to recruit mountain search and rapid rescue personnel, was then open only to locals, but the ISF since 2004 has worked to include this epic climbathon into its own series. at Giir di Mont and De Gasperi settling the score with his own personal best at Sierre Zinal a month later. This should be a fantastic battle between two of the sport’s best pure legendary vertical specialists. Joining these champions are the 2011 Skyrunner World Series Champions Luis Hernando and Oihana Kortazar along with Anna Frost, American Brandy Erholtz, Russian Zhanna Vokueva, Britain’s Ricky Lightfoot, and a host of other local and international Skyrunners. A couple of stories to follow are De Gasperi’s recovery from an injury he suffered in Tirana during the World Mountain Running Championships, and the much reported DNF of Jornet at the recent Salomon Nature Trails Cavalls del Vent in Catalonia, Spain. 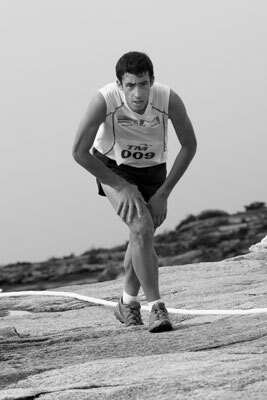 Given the facts that Salomon was the title sponsor of the Cavalls del Vent, and that it was held in Spain in front of thousands of jubilant fans, Kilian naturally felt compelled to participate. But a DNF is hardly surprising given his insanely active year of racing and non-racing running adventures. Besides that, he apparently wanted to be fresh for this race up Mt. Kinabalu, once again getting to toe-the-line with his Italian rival and the rest of the fiercely competitive Skyrunning peloton. On the women’s side, last year’s Mt. Kinabalu runner-up Anna Frost will look to continue her competitive mission to perhaps claim this huge win and get back to NFEC 50 San Francisco in December to defend that title. Much to keep an eye on here this weekend in East Borneo, aboard this tropical prominence. Inside Trail likes Jornet and Frost for the wins. As for CRs, we doubt anyone will be able to match De Gasperi’s 2010 time, which included an incredible ascent, summiting Mt. 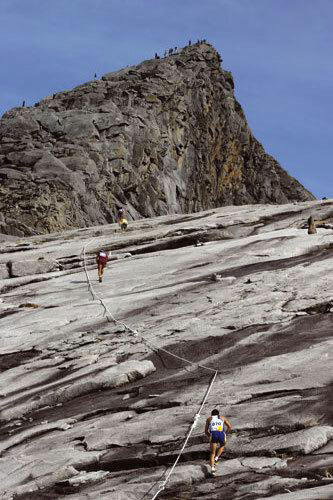 Kinabalu’s 4,095 meters in a mere 1h 35’29”. Are there any U.S. men running? I would love to see Max King or Matt Carpenter (especially a younger Matt) take this on. Any other U.S. runners you think could contend (even if they are not running)? DT, I don’t see any “big” American names on any entrant lists, any mention on any MR sites (but admittedly my resources are limited;). I think this is really a Skyrunner event, meaning the field is similar in make-up to that series of races. There is some local (Malaysian) representation, a few solid Japanese runners making the line, etc. But I really doubt we have much of a presence over there other than Brandy Erholtz (at least from what I’ve heard). Brandy’s success at Pikes Ascent may mean she can run strong here though the climb seems really tough and then of course, unlike the Ascent, runners need to descend 4000m+. We definitely wish her well! Carpenter seems like a natural for a race like this. No doubt. I think this is a pure climber’s event. So, King doesn’t come to mind as great fit, since he admittedly excels more at the rolling, cross-country, short steep climbing mountain running courses. This seems more of a Glen Randall, Joe Gray kind of course, in my opinion. Yeah on second thought Max might not be the best for this event and I agree that Glen Randall would probably do better (he did well at Sierre-Zinal). I am not sure about his descent skills though.